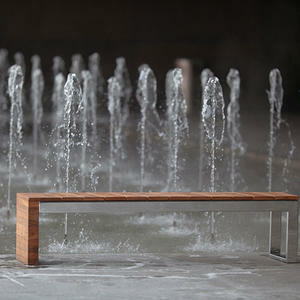 Forms+Surfaces is pleased to introduce two new “transition” benches – the Circuit Bench and the Duo Bench. 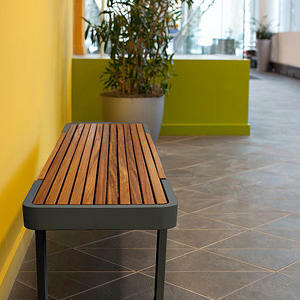 Transition Benches fill a niche in our Site Furnishings line by their ability to perform equally well in interior or exterior applications, offering an ideal solution for mixed-use environments and public spaces. 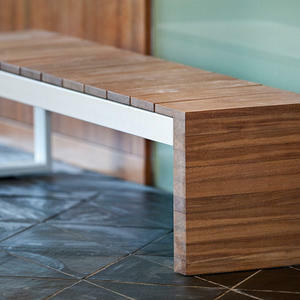 Crafted of high-performance materials, these durable benches will retain their beauty after years of use and wear, and are designed to complement a wide range of settings. 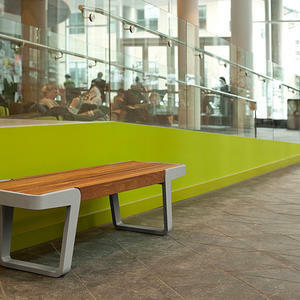 In the freestanding option, the benches are easy to move and arrange, but still heavy enough to discourage theft. Public areas with indoor and outdoor courtyards or plazas can now carry the same design theme throughout their interior and exterior spaces with ease. 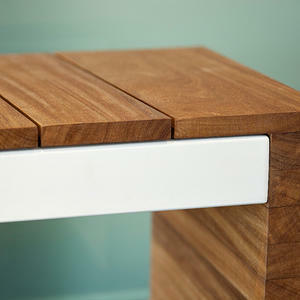 The Circuit Bench brings together simplicity, strength and clean design. Circuit's unique frame is comprised of solid cast aluminum with a powdercoat finish, while the seat is constructed of FSC Recycled reclaimed Teak hardwood slats with a natural oiled finish. Ideal for malls, corporate campuses, or universities, the Circuit Bench makes it easy to carry a design theme from the inside out. The Duo Bench is a harmonious display of yin and yang as metal and wood interconnect to form a bench that transcends its parts. Solidly built on a stainless steel frame, in polished or powdercoat finish, the Duo Bench is tough enough for the great outdoors, but graceful enough for any interior setting. The distinctive seat and integral wood end are FSC 100% Jatoba hardwood in a natural oiled finish, with seat slats that are bias cut for a modern flair. 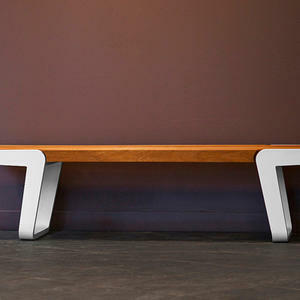 With its clean lines and understated elegance, the Duo Bench can elevate any environment. The woods used on both benches are environmentally friendly and sustainable, and have been rated with the FSC 100% or FSC Recycled certification. Jatoba hardwood, used in the Duo Bench, is an FSC 100% tropical hardwood that offers an alternative to Ipé with almost identical performance characteristics. The Circuit Bench is our first product utilizing reclaimed Teak hardwood, which is carefully recycled from old and neglected buildings being demolished in India. By using this Teak, we avoid cutting down any new trees and can still provide a strong, gorgeous hardwood that is proven to withstand the test of time. 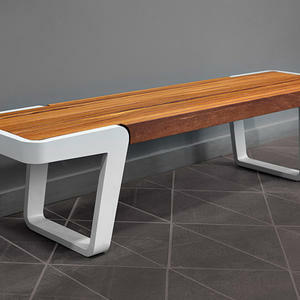 These two new eco-friendly benches offer high design, superior durability, and unmatched versatility – what’s not to love? Visit the Duo Bench Product Page or the Circuit Bench Product Page and download the support documents below for more information, or contact us.